Finding a large-room air purifier is a bit more challenging than when shopping for more common rooms. Small and medium sized rooms have lots of options. However, outside of that your choices are more limited, and you’ll really need to do your homework. In my EnivroKlenz Mobile review I’ll tell you more about this interesting purifier worth considering. My hands-on testing and experiences allowed me to get a good feel for “the whole package”: the design & build quality, performance, and some of the things that make it unique. I’d love to help you decide if it’s a good choice for you, too. 13. 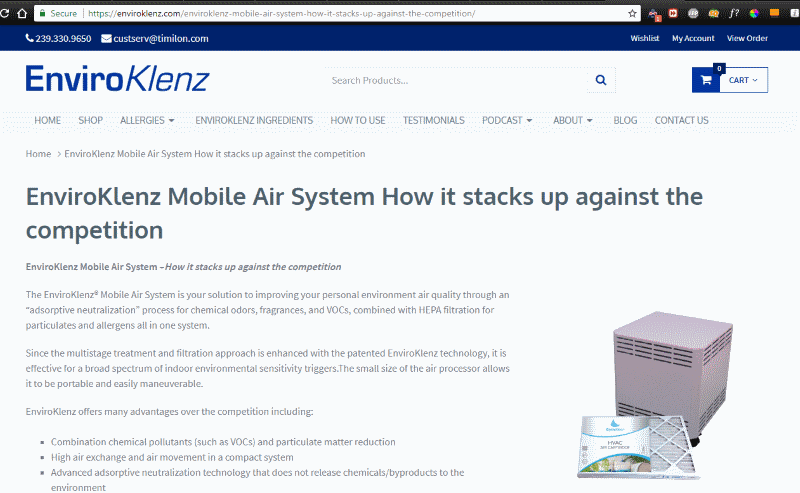 Does the Mobile produce ozone? What about by-products? 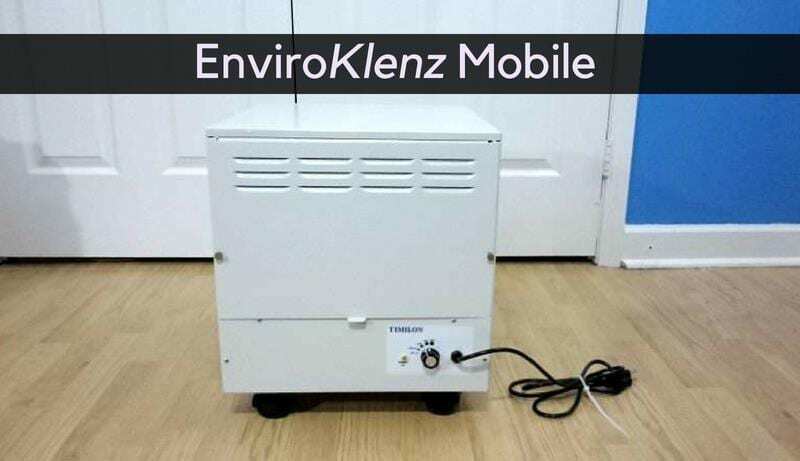 The EnviroKlenz Mobile is essentially a large-room air purifier that’s designed to move – and effectively clean – a very large amount of room air. It’s filter-based, meaning that it works the same way as conventional and proven HEPA-based purifiers. However, there are a few differences to understand before buying. The EnviroKlenz company is actually based out of Fort Myers, Florida. The EnviroKlenz brand provides a wide selection of not just air quality but also cleaning products and much more. One of the thing that stands out is their dedication to providing products that don’t cause issues with chemicals or that add irritants to your environment. They’ve established standards they follow in order to avoid adding potentially harmful by-products to your environment when used. For example, EnviroKlenz products won’t cause issues for those with Multiple Chemical Sensitivities (MCS). I personally know a bit about that, having had severe headaches in the past with cleaning products my mother once used, so I can appreciate not having to worry about it. That was an especially difficult experience for me and I suffered a lot. I really appreciate their stance on avoiding those kinds of problems with their customers. How often do you see this kind of thought put into products? In my experience, basically never. 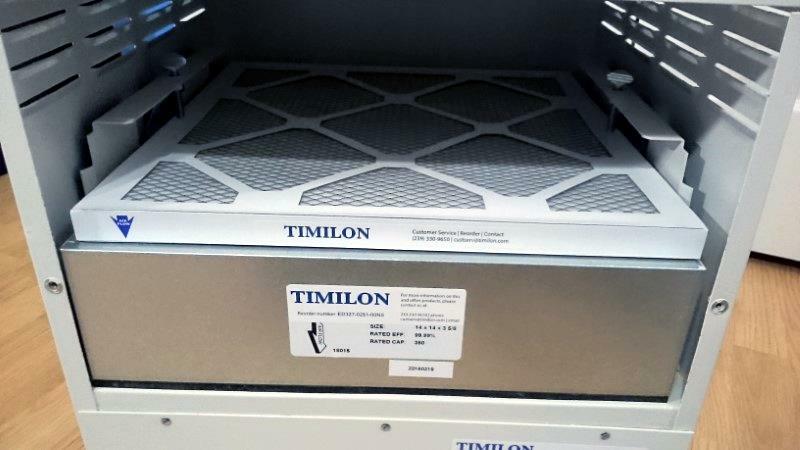 By the way, the Mobile purifier itself is manufactured by the parent company, Timilon Technologies. To clarify, the High Efficiency Particulate Air (HEPA) filter included is similar to any other similar product in terms of how it works. However, this filter is huge and far more capable than any other HEPA filter I’ve gotten my hands on. It’s clearly several steps above an average purifier’s filter. The “air cartridge”, as EnviroKlenz calls it, is a basically a pre-filter section with a proprietary design. Inside are active elements that don’t just absorb airborne odors and Volatile Organic Substances (VOCs), but that actually neutralize them. This is an important distinction (and advantage) to be aware of. Unlike most purifiers on the market and that I’ve tested, that means it actually truly eliminates those harmful chemical substances in the air. I found myself really interested in trying it out as well as learning more! Unlike typical HEPA-based purifiers you might commonly see, the Mobile is designed to clean a far larger amount of room coverage: up to a whopping 750 square feet! That’s a massive difference from the products I’ve owned and tested until now, which are typically recommended for 89-155 square feet or so. Weighing in at around 38 lbs (17.2 kgs) it’s probably not what you’re accustomed with small purifiers, but that’s not a problem in my opinion. A big purifier that can effectively treat much larger areas needs to be physically big – that’s just how it goes. In order to cleanse the air in a huge area like this guy can, you must move a lot of air efficiently. That requires a larger, more powerful fan and greater physical size. In that regards, the EnviroKlenz air purifier has you covered. By the way, in case you weren’t aware, the Mobile is also available in a nice-looking black version as well. Just a note upfront – air purifiers in this room size coverage aren’t cheap. While it may seem like quite a bit, it takes a very effective and powerful unit to be able to treat the air in such large areas. The company also provides a 5-year warranty which is a great one, especially considering that purifiers like it and others in this price range aren’t inexpensive. Most common air purifiers I’ve tested provide a 3-year warranty at most. I think it’s a good, quick way to get a better feel for what it’s all about and to see some of the strengths, too. I was finally able to get my hands on the Mobile to test and review. This is by no means my first air purifier (I’ve owned and tested a lot!) but it’s the first truly larger-room/home model I’ve had. Unboxing the purifier was easy and the unit was well-packed with foam and the contents stored well on top. Everything looks good and I’m happy to report it was easy to get started right away. It feels a bit different having such a massive purifier, but that’s what’s expected when looking for a product that can effectively clean much larger areas like homes and businesses. Everything was well-packed and wrapped including the purifier. The included filter cartridges are factory-sealed to prevent absorption from surrounding air before you receive them which would shorten their effectiveness prematurely. You’ll have to do a few simple things after unpacking and before use, which I’ll cover as we go on. I like getting an initial impression about a product from first opening it up. Believe me when I say not all are well done and well-packaged. I’ve had a few products that disappointed in this regards. The EnviroKlenz Mobile, however, didn’t let me down here. I got a good impression that quality control was put into practice before it was shipped to me. Setting up my Mobile purifier wasn’t very hard, but I realize not everyone is “mechanically inclined” like I am. However, honestly it wasn’t very hard at all and only took a few minutes so there’s absolutely no reason the average person can’t do the same. There are a few details you need to know as I discovered, and I do have one or two relatively minor complaints about this aspect of the product. After unboxing the purifier (which was really easy, by the way) I read the instruction manual to avoid any silly mistakes. I then removed the air cartridge from its sealed bag (which EnviroKlenz provides to avoid it being used before your receive it). The HEPA filter doesn’t required a sealed bag as it doesn’t contain active elements – they require air flow to work. 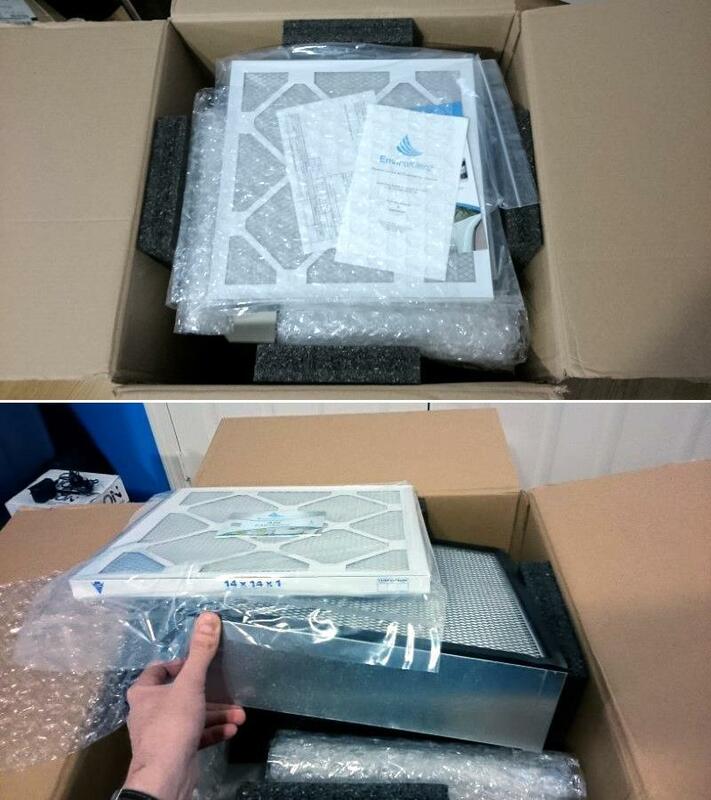 The Mobile air purifier is really simple to open and reminds me a LOT of opening a personal computer (PC) case. Much like a computer case, it has 2 machine screws with a knurled surface that are unscrewed to remove the rear panel. Note that the rear panel has tabs inserted into the top of the chassis you need to observe. Before installing anything (as the filters are not pre-installed from the factory) you need to remove the rear cover. That’s pretty easy to do. 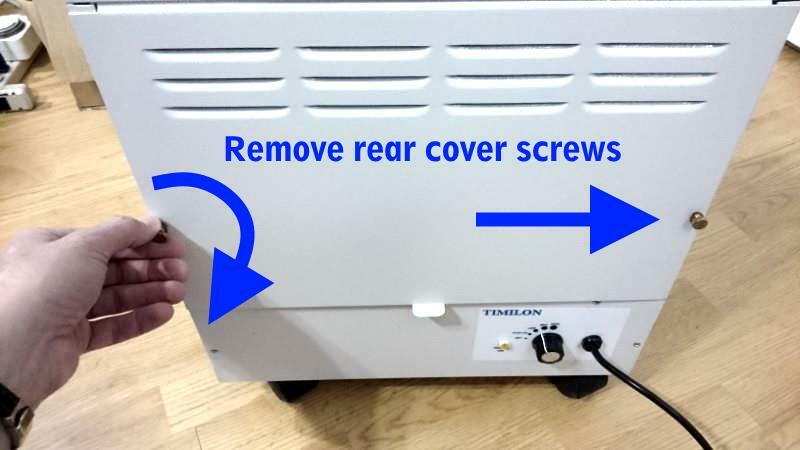 Just unscrew the 2 machine screws and then, holding the rear panel by the bottom edge, lean it outwards and away to pull it out. 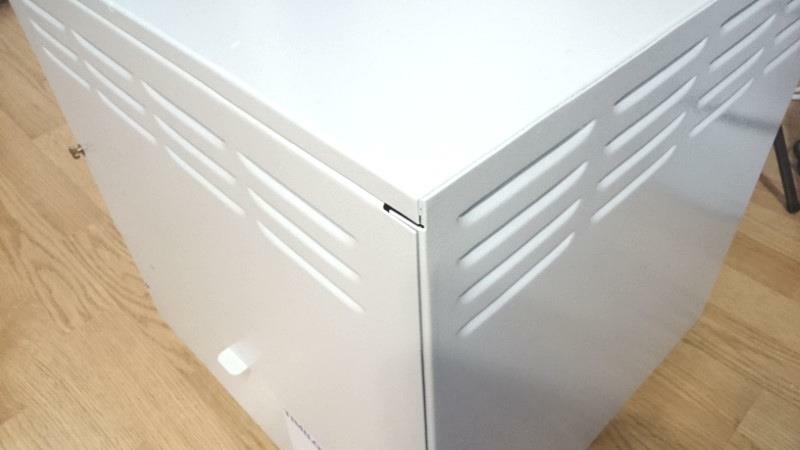 It has tabs at the top which are inserted to small gaps in the chassis much like a home computer case you may have worked on before. After removing the rear cover, you’ll see this. The lower area (just above the fan) is where the HEPA filter is located. 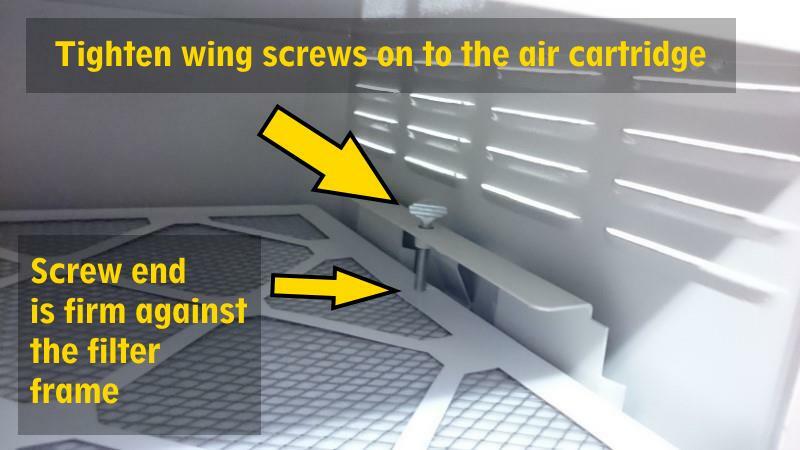 Next, you’ll install the air cartridge on top of the HEPA filter and secure them both with the wing screws, one on each side. Once removed you’ll see the very large opening in front of you – that’s where the air filters are inserted. For some reason the actual space inside the purifier is much larger than the space required for the filters. 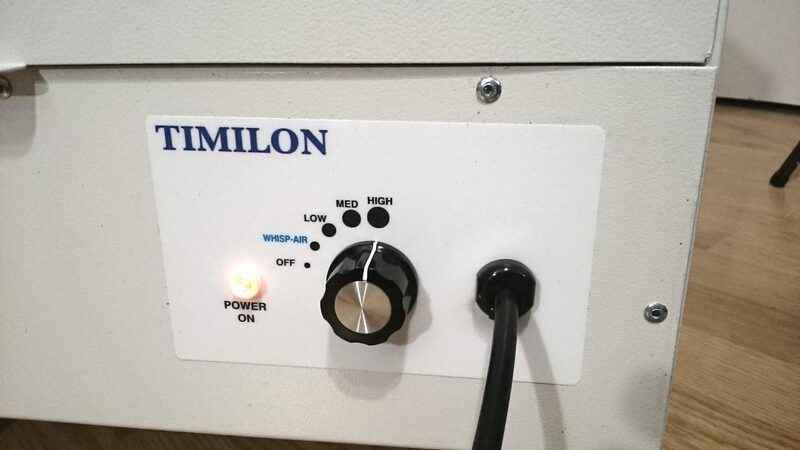 I’m not sure why that is, but I imagine that the Timilon company had their reasons for that during the design process. Inserting the High Efficiency Particulate Air (HEPA) filter during setup. This is very straightforward: hold the chassis with one hand to prevent it from moving and push the HEPA cartridge in until it stops. This is a very basic step, and takes just a moment. The first filter slides right in and is sized properly to fit in the bottom section of the purifier. All I had to do is hold the purifier body with one hand (since it can move due to having wheels) and push the filter in with my other hand. Once that was done it was time to insert the air cartridge. Note that for good air flow a gasket is attached to the bottom of this filter, so it faces down when inserting it. The air cartridge (filter) slides in on top of the HEPA filter section. However, I noticed that unlike the other one it doesn’t fit exactly right in the opening. I had to center it in order to make sure the filter section aligned with that of the one below it. Afterwards, the wing screws (on the left and right sides) are tightened to hold it all together. Inserting the 2nd filter isn’t hard, either. It’s a pretty simple matter of sliding it in and centering it above the 1st filter which it rests on. I checked the instruction manual, but I did see any mention of needing to center it above the other. That concerns me because people might not be aware of the importance of this. While probably not a really big deal, it’s something to take note of. When inserting the air cartridge I noticed that the actual exposed filter section wouldn’t be aligned correctly with the bottom so I made sure to center it above the other one as you can see above. Image showing the “wing screws” (screws with a head designed for turning with fingers) used to hold the filters securely. There’s one on each side. You’ll need to loosen them before filter installation or replacement, then re-tighten them. This isn’t hard, but you’ll need to loosen the wing screws shown here before inserting the air cartridge. Mine, from the factory, were tightened a bit so my air cartridge wouldn’t fit inside without doing so. I just loosened them a few turns then the filter had room to slide right in. After doing so, I tightened the screws well but not so tight that they’d damage the air cartridge which has a paper frame. When both are tightened properly the filters shouldn’t be able to move freely. Once the filters are inserted and secure, it’s just a matter of inserting the upper portion of the rear cover into the top of the body at and angle then leaning it down. After that’s done, I re-inserted and re-screwed the machine screw fastener into the 2 holes on the body frame. However, just like a computer case often is, it wasn’t quite as easy for this part. The holes on the rear cover didn’t line up well on my first attempt so it took a few additional tries to move the cover slightly so that the screws could go into place. Afterwards, however, I got them in and they tightened down without any resistance. That being said, I think it would be easier if the screw holes on the cover were a bit larger or there was some other way to align them more easily. The Mobile purifier is made of metal (steel, unlike competitors) and is well put-together. It’s built on a metal frame (painted both inside and out) with a removable rear panel where the filters can be accessed. 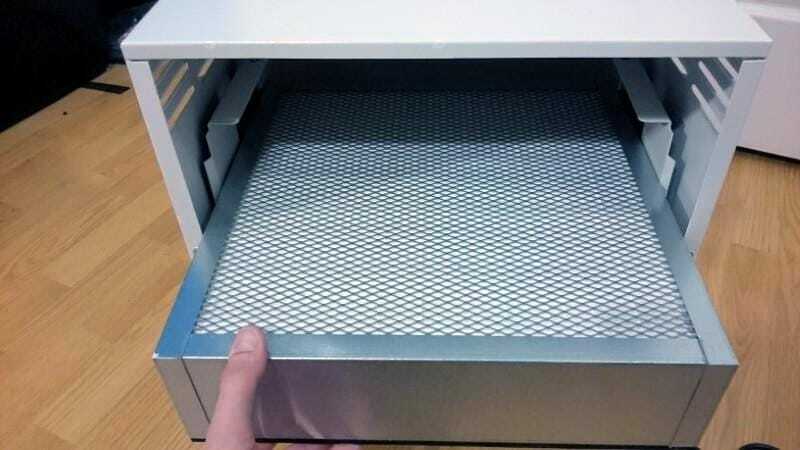 Air is drawn through slotted vents (seen here) rather than a grill like other purifiers you may find. Build quality is good, and one advantage you’ll find over its competitors is that the body is made of actual steel rather than plastic. That’s unusual, as most air purifiers I’ve been involved with are almost always built with a plastic housing. The front panel has a rotary control and indicator light, all of which are well-done and secured well on the chassis. Overall, the fit and finish are good and the paint on my test model was a sort-of “eggshell” color in a satin finish which I liked. I’d love to see the black model EnviroKlenz offers, too, as that’s a personal preference of mine. There were no build defects or large gaps that I could find. Everything was well put-together and looked like should. Overall, the Mobile purifier checks out and has good fit and finish. As you can probably tell it has an “industrial” functional design instead of a stylish or contoured appearance like others. Controls consist of a simple rotary control with 4 settings. The power “Power On” indicator light remains on even when the control is in the Off position, for some reason (I’m not sure why this is). The unit is extremely simple to use. After a little while I found it to be a nice, hassle-free way to operate it. Like wise, as you might have guessed from the images you saw already, the controls are extremely simple to use. Yes, that’s pretty much it. It’s so simple that there’s not much more I can say. But honestly, that’s a good thing! Unlike some other purifiers I’ve tested (a great example is the Honeywell HPA300 I wrote about here) there’s no worry or fuss whatsoever. Just turn it on, or turn it off. That’s it! However, I don’t quite understand why the power light remains on even when the unit is switched off. It’s a minor gripe but seems counter-intuitive to me. Everything else I own, when turned off, switches off its power light. I’ve put together a list of the most important specifications you need to know before buying. Please do note that while at maximum speed it consumes about 115W of electricity, at lower speeds it will draw much less power. Even so, buyers have reported their electric bills weren’t affected too much. As this is a large-area, especially effective air purifier, it’s important to remember that the size, maintenance costs, and weight are greater than those of the most commonly available (and far weaker) purifiers sold for small and medium-sized rooms, for example. I felt especially confident knowing that EnviroKlenz offers a 30-day money back guarantee on it. As I recall none of the other brands offered that guarantee, so that’s definitely a big plus when buying. The EnviroKlenz Mobile air purifier isn’t exactly lightweight at 38 lbs, but in my personal experience it wasn’t really a problem. 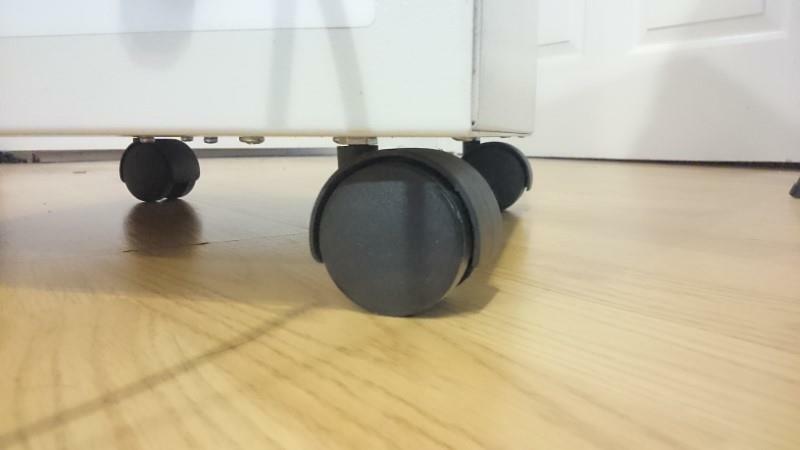 Easy-rolling wheels are already attached to the body (yes, you don’t have to install them yourself!) and make it easy to move it about. However, if you’re using it in an area with a slanted floor you’ll have to take precautions. No wheel locks are provided. Let me be clear about one thing right away: The EnviroKlenz Mobile wasn’t designed to be carried. At its weight (about 38 lbs) the Mobile isn’t exactly a “lightweight” product. But that wasn’t an issue for me. The main reason why is because right from the start I knew it was a solid, well-made product. Any product made from metal (which is rare these days) will always weigh quite a bit more than plastic models. Right out of the box the Mobile has easy-rolling wheels, often found on large equipment or furniture, which makes it a breeze to position it. However, I didn’t have to install them myself – they’re pre-installed from the factory, which is unusual for me because all the furniture I’ve assembled over the years required I did that. While I’m a strong guy and 38 lbs is nothing for me to pick up, I understand that’s not the case for everyone else. The good news is that you won’t need to. Putting it into place in your home, business, shop, or wherever you may need good air treatment is very simple to do. While smaller purifiers often include an area for your hands to carry them, there’s none provided here. However, that makes sense, as clearly that wasn’t the intent. When I positioned it on my floor during testing it worked well and the wheels kept it in place. Note: Those using the Mobile in buildings with a slanted floor should be aware that they’ll need to take additional steps to prevent rolling. No wheel locks are built-in to the design. All-in-all, I’m pretty happy with it and how it worked out. There’s something to be said for simplicity! Noise levels are actually quite reasonable given its high air flow rate. While it’s by no means a very quiet purifier, what I found out during testing is that it’s actually not so loud. I’ve even used it in my bedroom on one of the lower settings with no complaints! I’m kind of surprised, because even the air purifiers I’ve tested with 1/6th the cleaning ability weren’t much more quiet. Using my trusty sound level meter to measure volume, I wrote down the volume levels at 1 meter (3.28 ft) from the purifier. (Note that the manufacturer rates it at 70dB volume, but I’m not sure what type of test was used in that case). If used in a business or other non-home application it won’t be a problem at all. Placed in a good location in the background, you’ll hardly notice it if at all. The fan runs with a standard slight “roar” but it’s at all intrusive or annoying in my opinion. Originally I expected much more noise during use, so I was pleasantly surprised to find it being pretty low-noise for its cleaning capacity and air flow rate. Honestly, I found the sound to be rather pleasing – much like a white noise generator. That’s a definite plus in my opinion. 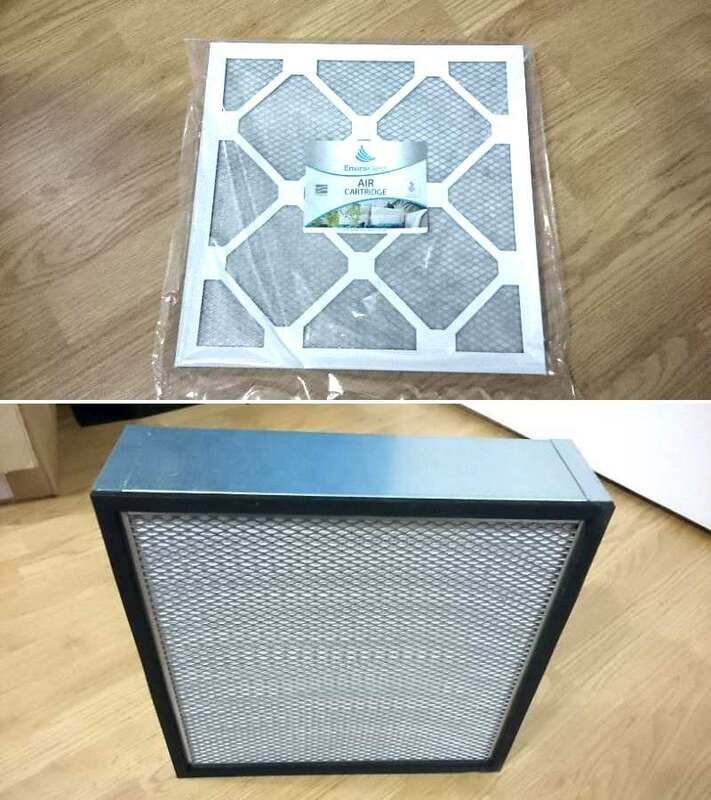 The Mobile air purifier uses an air cartridge filter built into a paper frame (top image) and a traditional – but extra heavy-duty – HEPA filter (bottom image). The air cartridge is a feature unique to EnviroKlenz’s product line. The main advantage is that unlike typical pre-filter/active carbon filters used on most purifiers it’s much more effective at not just trapping but neutralizing airborne chemicals. Even in this size class of purifier products, most still use the basic design a HEPA filter plus a pre-filter/activated carbon filter section to trap odors and Volatile Organic Compounds (VOCs). Along with other chemicals that may be present in the air you breather. The EnviroKlenz design is different, however, in that the air cartridge is more effective than those other products. Inside are proprietary ingredients made up of high surface area metal oxides. Although they don’t disclose much else, the company does provide documentation to show how effective it is. Unlike activated carbon filters, airborne chemicals can’t be released later – they’re contained and eliminated permanently. A number of chemical fumes and other terrible odors due to chemicals present in the air can be eliminated up to 99%. That’s pretty impressive, really. Because of the very high air flow rate (up to 250 cubic feet per minute (CFM) an especially well-designed filter is needed. Additionally, the long life expectancy (up to an estimated 1-2 years or so) requires substantial filter material to be available. Like other true HEPA filters the design can capture up to 99.97% of all elements in the air down to a microscopic 0.3 microns in size. (1 micron is 1/1,000,000 of a meter in size). One thing I noticed was the lack of a filter replacement reminder which is something I’ve come to expect on many purifiers sold today. It’s a bit disappointing to see that feature absent. I tested my Mobile purifier not just in the day time but at night, too. One the low settings the noise wasn’t intrusive and enjoyed having it freshen the air very effectively. 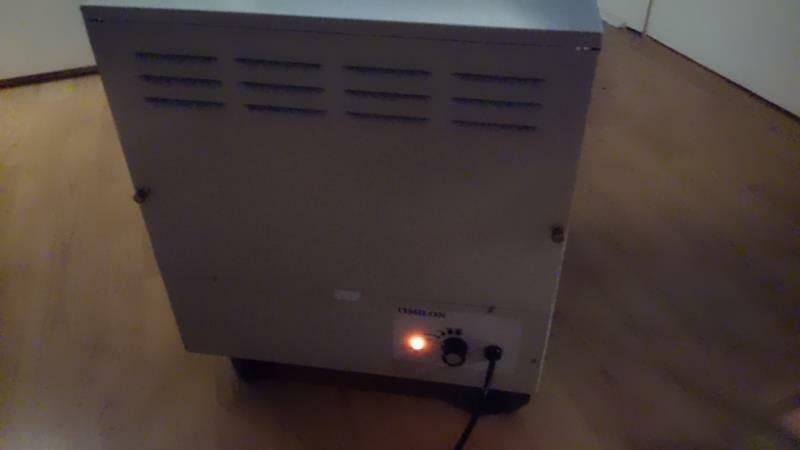 Overall it’s a great unit and works well. After testing and getting sufficient use of the purifier, I have to say it’s very effective. The biggest advantage it has over similar competitors is the ability to remove far more odors and chemical substances than they can. In practice, the Mobile did a great job. I noticed immediately the common odors I had in my home (and that I introduced for test reasons) were gone very quickly. In doing so the air cartridge doesn’t add anything to your air (as opposed to potentially harmful ozone generators). 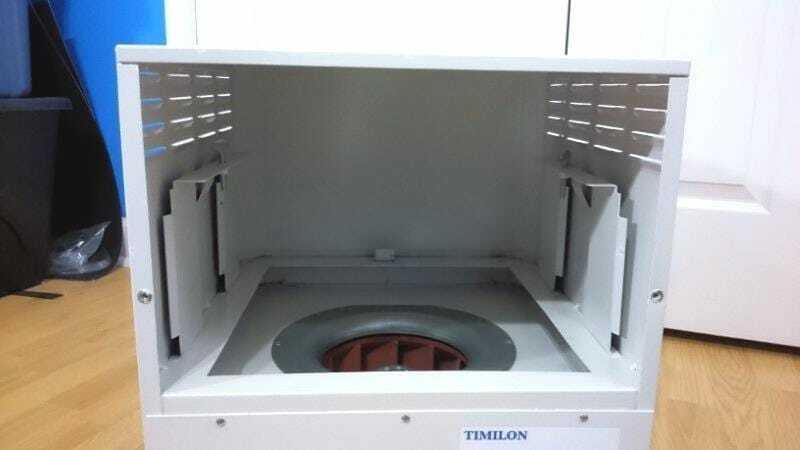 The centrifugal (round) fan is very powerful and while it does take a moment to reach full speed due to its additional mass and size, it can move a lot of air. Overall I think it’s a good performer and I initial hunch was right: it’s a good, no-frills purifier. Note that this does vary by use. Heavier use can shorten the life and likewise, lesser use may extend it more. As they’re specialized, especially effective filters, they’re more expensive. Expect to pay around $99 for the air cartridge and $150 or so for the HEPA filter section. Does the Mobile produce ozone? What about by-products? In keeping with EnviroKlenz’s design philosophy, there’s no danger of it releasing any chemicals and no ozone is produced. 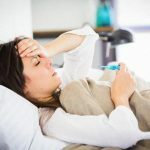 As I wrote about in this helpful post, ozone generators can cause a number of symptoms in addition to simply being a bad choice. Therefore it’s very important to select a product where that’s not a concern. I’m happy to say the Mobile is perfectly safe for use. If anything, you’ll feel much better for using it. 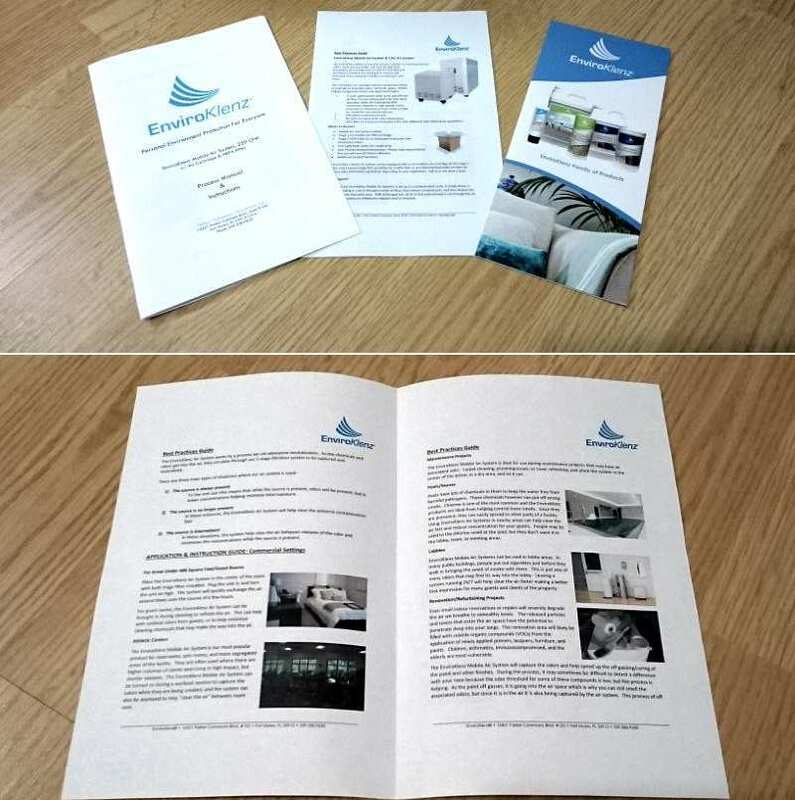 Included with the purifier is an owner’s manual, Best Practices Guide, and a general product brochure (top image). The Best Practices Guide (below) contains some very helpful information for new owners. As it’s more of a specialized (and more capable) purifier, getting the best use out of it for nasty environmental conditions is important. The instruction manual is a basic guide with information and details about how to set up and use the Mobile. While its clear and pretty detailed, the text is one of the smallest I’ve seen in an owner’s manual. For those with bad eyesight this could be a bit of a challenge. Clearly given the material presented, it’s especially helpful with things like paint vapors, cleaning chemicals, and much more that may remain in the air and present a hazard or nuisance. I should also mention that the instruction manual provides pretty good specifications for the unit as well. 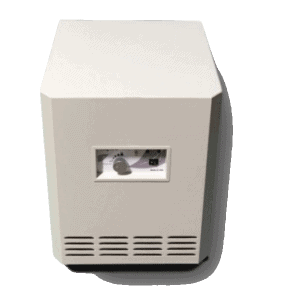 Additionally, the Mobile is also available in a model with a UV-C germ killing feature called the Mobile UV. It has the same performance as this model with the benefit of not one but two germ-killing ultraviolet (UV) lamps. You can expect to pay a bit more for it, but it’s an option worth considering if you’re truly wanting as much air cleaning power as possible. If you’re curious you can check out the current price over at Amazon. All in all, I enjoyed testing and seeing how effective the Mobile purifier was. I also came to appreciate, after reading some of the documentation EnviroKlenz has available, how much more chemical odor and vapor cleaning ability it has. By and large, it offers a serious advantage over competing products in its price range. As I mentioned earlier, most still use standard activated carbon and can’t match the Mobile’s air cartridge design. In that regards it’s a much better choice when it comes to dealing with problems such as airborne chemicals and vapors. 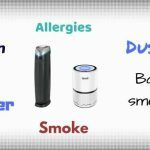 Additionally, it’s great for dealing with the normal nasty air elements such as allergens, dust (especially from construction), pet hair and dander, and so much more. While not sleek-looking or decorative, it’s a well-built and effective choice, and I feel confident in recommending it. Don’t hesitate to head over and check it out at Amazon where there's free shipping available. A large-area purifier that's an effective workhorse. Especially good at removing airborne chemicals. A good choice. The EnviroKlenz Mobile isn't flashy or the most appealing in terms of looks. 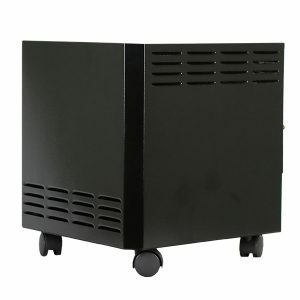 What it is, however, is a practical, effective American-made air purifier that does what it promises and does it well. Well-made and extremely simple to use, it's a product that puts functionality over style. Unlike competing products, the air cartridge uses a more effective technology to eliminate - not just trap -odors and VOCs present in the air. Recommended for areas up to 750 sq ft, it's a good choice for removing a wide range of environmental hazards and irritants. Despite its high air flow rate noise levels are very reasonable and pleasant. The addition of a low-noise setting is nice. What about the MOLEKULE? Claims to kill mold spores. No HEPA. Hi Mella. I haven’t had an opportunity to use or test the Molekule, but if it works as claimed it would be ideal for smoke (which contains particles at times which are too small for standard HEPA purifiers). However, it’s much more expensive than a typical HEPA-based purifier, which means it won’t be an option for many people. Also, for that money, you can get an air purifier with an auto-speed feature that adjusts itself based on air quality automatically. The Molekule cannot. 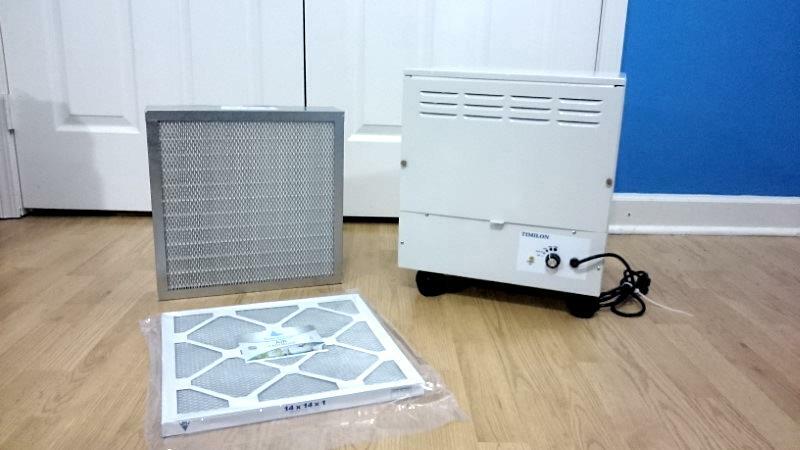 I can tell you that I’ve not run across any complaints regarding mold & HEPA-based purifiers, as they do help, and ideally people will be replacing their used filters as recommended. There appear to be a number of gripes regarding the Molekule and its performance vs what’s already on the market. My advice would be to go with an existing, proven product with many buyer reviews to be more confident before spending a lot of money. I wish I could say the same of this air purifier as I really felt the design was solid for MCS sufferers. However, this air purifier emits a strong chemical odor. I’ve had two other people who are not chemically sensitive smell the same odor. At least in part, the smell is coming from the rubber (not sure what the seal is made of) seal around the larger filter. I removed the large filter and ran the fan for quite a while – odor still there perhaps they used some of this ‘rubber’ seal in the fan area too. All that said, I’m returning the unit. In regards to your experience: There is only one rubber component and that is actually around the bottom of the HEPA. This is crucial to the design to ensure that it sits tight and forms a tight seal so that teh air taken in is not escaping through the sides but rather through the cartridge and HEPA. The rubber itself is not treated and to the majority of folks that have purchased our system, it has no odors. We did send you a different version of the HEPA and you did mention it smelled like rubber, although there was no rubber on that version of HEPA. We respect and understand that chemical and fragrance sensitivities vary in levels from low to extreme. Being the go-to air purifier for those with MCS & Environmental Illnesses, we ensure that our entire construction process, materials used, and ingredients are both non-toxic and fragrance-free. We have already scheduled a pick up for your system and once received your full refund will be issued as stated in our money back guarantee. We wish you a Happy & Safe Holidays!! Hi Portia. It’s unfortunate you ran into that problem. I reached out to the good people at EnviroKlenz and let them know about your concerns. Best regards and thanks for dropping by. filters, but that did not resolve the odor. I returned that unit and was sent a new unit. That one had an odor as soon as I turned it on. I agree with Portia that the smell is coming from the HEPA filter, because I smelled the new HEPA before putting it into the machine for the first time, and the filter had the same smell as when I put the filter in and ran the machine. I’m feeling disappointed, because I have read great reviews (including yours) and I wasn’t expecting to have these issues with odor emissions, especially from a company who has a large clientele with MCS, such as myself. Environklenz has been supportive through the process to help troubleshoot. They claim a new filter may have to be in use for 24 consecutive hours to “break it in” but I’m about ready to return it and buy a different brand. Hello Melissa. My apology for the delayed response. I did forward your feedback to a representative with EnviroKlenz to let them know about your concerns. Was your issue resolved? I’m especially curious to know as I want to provide the best information for my readers, so I want to know if this is something I need to make them aware of before buying.